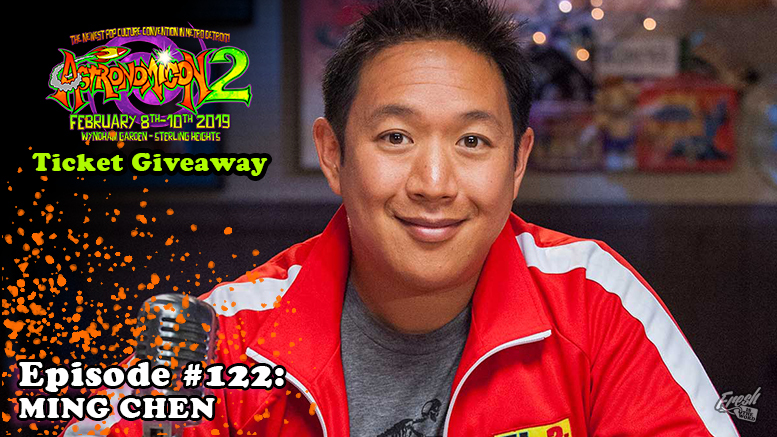 This week’s guest is actor, podcaster, and reality television personality Ming Chen. He co-hosts the I Sell Comics! podcast with Mike Zapcic and also starred in the AMC reality series Comic Book Men. During our conversation, we talked about our love of John Wesley Shipp, his experience at last year’s Astronomicon pop culture convention, some of Ming’s favorite Michigan hangouts, the difference in conventions, the Vault of Midnight comic book store, podcasting and his new podcasting studio, and the importance of the comic book stores and conventions. 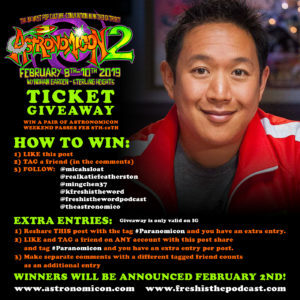 Ming Chen will be a guest again at the Astronomicon pop culture convention on February 8th-10th at Wyndham Garden in Sterling Heights, Michigan and Fresh is the Word is continuing on with the contest on Instagram to giveaway three (3) pairs of general admission weekend passes to the event. Head over to the Fresh is the Word Instagram account to enter: @freshisthewordpodcast.